Posted on Wed, Feb 29, 2012 : 8:41 a.m. Some University of Michigan students who envisioned a fun and carefree college spring break get-away in a warm climate instead encountered sewage overflows, overbooked hotels and broken locks, the Michigan Daily reported. One student was shocked to run into a man with a gun walking on the beach, the student newspaper reported. Students have since been relocated to better accommodations, but one student told the Daily his new resort is crowded with families and little children, not exactly what he had envisioned. Students said before the move, they had to cope with up to 18 people in one room. About 750 students booked the trip to Punta Cana in the Dominican Republic, the newspaper reported. Read the Michigan Daily article. Thu, Mar 1, 2012 : 6:41 p.m.
A comment has been removed because of name-calling. Since that comment has been removed, replies to it no longer display. Thu, Mar 1, 2012 : 4:29 p.m.
Overbooked resort? Is this place owned by an airline? What happened to Panama City, FL? Thu, Mar 1, 2012 : 7:42 a.m.
Thu, Mar 1, 2012 : 7:03 a.m.
Really, either the quality of reporting here is *nil*, or this piece was never meant to be anything but a comments-generator! Because if you click on the link to the Daily story, you'll find a reasonably-well written article that focuses on the only issue at hand here--that there is a travel company that clearly doesn't deserve people's business! The Daily piece has this as its focus, but the AA.com piece doesn't even mention the company. The Daily has the quotes from the students put into some less unseemly-sounding context and with further details so the kids don't come off quite so terribly, but the AA.com makes them sound like ugly Americans in a very very big way. The point of the article in the Daily is to relay the bad experiences of a sizeable group of UM students who seem to have gone with the wrong spring-break travel company--and yes many college kids do this instead of the more socially conscious variety of break activity! The point of this AA.com piece seems to be to highlight how awkward these helpless hapless complainers felt around kids. And Dominicans. Which would definitely generate more comments and page-views. Thu, Mar 1, 2012 : 4:30 p.m. Sounds like a fraud to me. How many room renting places over book like an airline? Thu, Mar 1, 2012 : 2:57 a.m. These students could get plenty of &quot;ugly American&quot; lessons from reading the comments on this article. None of the students struck me as whiny or self-entitled. If you or your kid volunteered or worked instead of taking a vacation, then take satisfaction in that instead of seeking validation from the rest of us. So Biff, Buffy, Chad, and Kaitlyn are having a miserable time on spring break. The DR is not the USA so do not leave the country and be surprised that the standards are not those of home. Also, it looks like these students are receiving great lessons on becoming ugly Americans. Wed, Feb 29, 2012 : 10:31 p.m.
Gee! I hope all those rich, spoiled people on the Costa crusie going on day #3 without power and water are not complaining. They can afford a much nicer, more expensive vacation than me, so I am glad they are having a miserbale time! Wed, Feb 29, 2012 : 10:32 p.m. Wed, Feb 29, 2012 : 10:18 p.m.
Punta Cana is one of the best value vacation hot spots right now, so I am sure these kids did not spend a fortune on this vacation. You don't have to hate them because they can afford a modest vacation. There's no reason to hate someone because they can afford an expensive vacatio, either. Who cares? Why does it matter who pays for it? Regardless, it is easy to understand how disappointing it would be to plan a nice vacation and and have all these unfortunate things happen. How would you like to share a room with 18 people? Wouldn't you be bummed? I would. Wed, Feb 29, 2012 : 9:18 p.m.
Their just used to latte's and there secure luxury apartments in A2. SPOILED BRATS!!! LOL!!! Oh the humanity!!!! Wed, Feb 29, 2012 : 9:12 p.m.
Where, what? Is this an article or a riddle? Is there an editor in the house? Wed, Feb 29, 2012 : 10:34 p.m. In Punta Cana in the Dominican Republic, as the article states. Wed, Feb 29, 2012 : 8:22 p.m. These vacationing whiners would have been better served volunteering their time (and money) in rebuilding Japan or Haiti. Buncha killjoys in this comments section. Kids want to go to the beach and get their drink on just like TV. Haters gonna hate. Fri, Mar 2, 2012 : 3:02 a.m. Wed, Feb 29, 2012 : 6:10 p.m. If they want something to do stroll over the mountains and help out some of those people that have been ravaged by disasters, corruption and bad politics. Wed, Feb 29, 2012 : 6:02 p.m.
Dominican Republic...is Florida too close or not exotic enough? Punta Canta has been an overbooked destination for several years, because it is cheap. That considering it is in a foreign country. In the end, you get what you pay for; badly run hotel/resorts with very low upkeep standards compared to the USA or some other higher priced Caribbean destination. The sad part is the attitude of not only going way on spring break but going far and yes perhaps mommy and daddy flit the bill. It is very hard to feel sorry for these students. Next year, stay closer to home and spend what ever money you have in the States. Wed, Feb 29, 2012 : 5:18 p.m.
Good... I'm glad. Maybe these particular students will learn a lesson in priorities and/or gratitude. In 22 years, I've never been on a spring break vacation. Unlike many students, my parents don't pay all my bills for me. They can't and they wouldn't. My dad handles my insurance (all varieties) and everything else is my deal. If he did provide for me, I can't see myself spending his money on a posh vacation... I've got student loan debt! Aren't these the same students that have been complaining about the increased cost of education? I'm right there with them... but I'm actually putting the money I earn into paying back the loans, water, garbage disposal, rent, DTE, food, clothes, car repairs... not vacations. Thu, Mar 1, 2012 : 1:09 p.m. Very responsible and reasonable of you Robert. Joy can be found in moderation, like paying your bills and paying down your debt. The American Way seems to be to encourage everyone to rack up as much debt as possible to spur the economy and then simply declare bankruptcy to absolve yourself of the debt. Great, let's all do that and see how it works out.. oh wait, we already did. Wed, Feb 29, 2012 : 9:31 p.m.
Robert you made generalizations about the students referenced in the article, saying your glad they're having problems. You don't know which of those students paid for it or didn't, so yeah, you don't remember mentioning those students, rather you assumed something about all of the kids on vacation and judged them without knowing their circumstances. Wed, Feb 29, 2012 : 8:26 p.m. I don't remember talking about students who pay for their own vacations.... more power to them. Wed, Feb 29, 2012 : 6:08 p.m. It's wonderful to hear that you are responsible. You will be happy with your decisions after college. Don't assume mom and dad are paying for those vacations though. Most people I knew in college charged it on their credit card and then were stuck paying for the bills as young professionals starting out. My husband did this and it was a tough life lesson to learn as he was still paying for those trips (and for school) a few years after college. Thankfully he was able to pay them off rather quickly, but I know many of those kids will probably regret spending that money before they have it. Vacations are wonderful if you can afford it. I hope in the next 22 years you are able to have a few! Wed, Feb 29, 2012 : 5:54 p.m. Wed, Feb 29, 2012 : 4:42 p.m. Wed, Feb 29, 2012 : 5:46 p.m. Wed, Feb 29, 2012 : 4:10 p.m. Wed, Feb 29, 2012 : 3:54 p.m.
&quot;but one student told the daily his new resort is crowded with families and little children, not exactly what he had envisioned.&quot; No I'm sure most of them envisioned being passed out on the floor. Without the sound of children playing to wake them up at 3pm before they go out for another round! But I can't imagine that little kids around would have ANY effect on their foul language! Wed, Feb 29, 2012 : 3:44 p.m.
&quot;'It's just really kind of awkward trying to have a spring break with families with little children around,' Cohen-Arcamone said.&quot; Well, then here's an idea for you, Daniel: Behave like a responsible adult on your spring break, instead of a debauched &quot;ugly American.&quot; I know it's hard to believe, but the Dominican Republic isn't just a playground for drunk American college students &mdash; it's an actual country inhabited by real people who have jobs and families and all that boring stuff. Have some respect for the country you visit, and for yourself, and do your best not to make the U.S. look bad. Wed, Feb 29, 2012 : 3:19 p.m.
Why is it that we have to click on the Daily article to see WHERE this happened? Baaaaad reporting. Wed, Feb 29, 2012 : 3:34 p.m. Sorry Leah, that was an oversight. It's been added. Wed, Feb 29, 2012 : 2:48 p.m. I LOL'd at this quote: &gt;&gt;I can take control of my own situation and do something to remedy it, but I felt completely helpless because I'm in a foreign country, didn't have my phone, didn't have Internet, I couldn't do anything," he said.&lt;&lt; Please tell me this guy's not typical of college students. Most are not this helpless, right? Or is it just the rich kids that are used to having their way? Wed, Feb 29, 2012 : 4:16 p.m.
Hopefully the new U of M $100,000 a year director of Social Media will jump on this. We can't have students unable to surf the net, update their facebook and tweet when their hotel accommodations are less than expected. 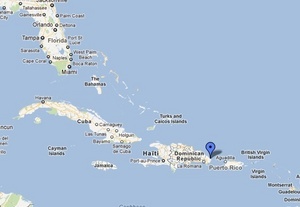 Wed, Feb 29, 2012 : 2:35 p.m.
At least they didn't end upon Haiti. Although it might have been good for them to see some real poverty and maybe help out. Wed, Feb 29, 2012 : 2:08 p.m.
After a certain level of inebriation, none of those things would matter. Guess they shoulda gone to jersey shore! Wed, Feb 29, 2012 : 2:05 p.m.
Are you under contract to produce a certain number of stories per month? Wed, Feb 29, 2012 : 2:03 p.m.
Thu, Mar 1, 2012 : 12:57 a.m.